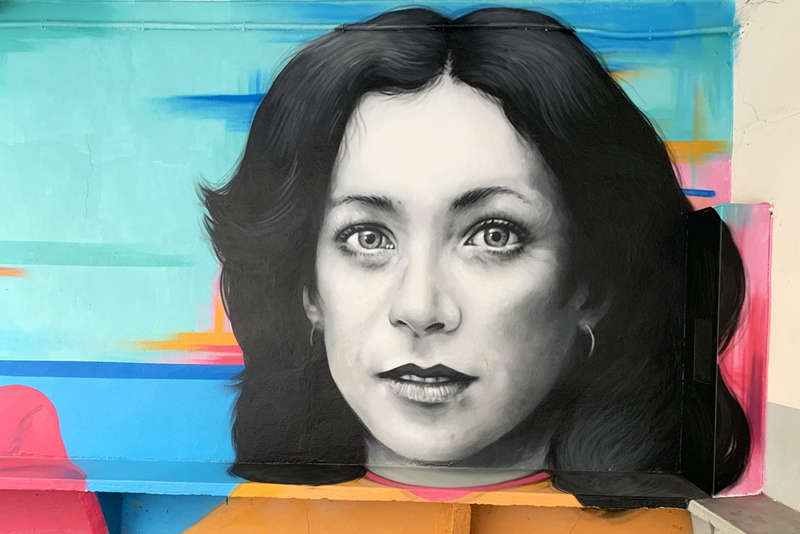 L’école Chappe, in Saint-Etienne, France, is a school as well as a beautiful open gallery. 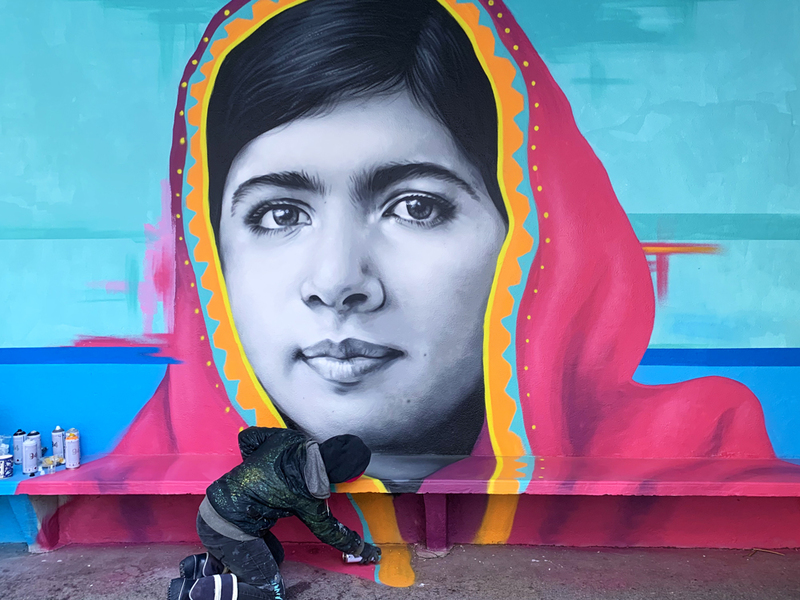 The school has been inviting contemporary and urban artists for the past years to transform walls and rooms into artworks, as well as doing interactive workshops with the children and talks. 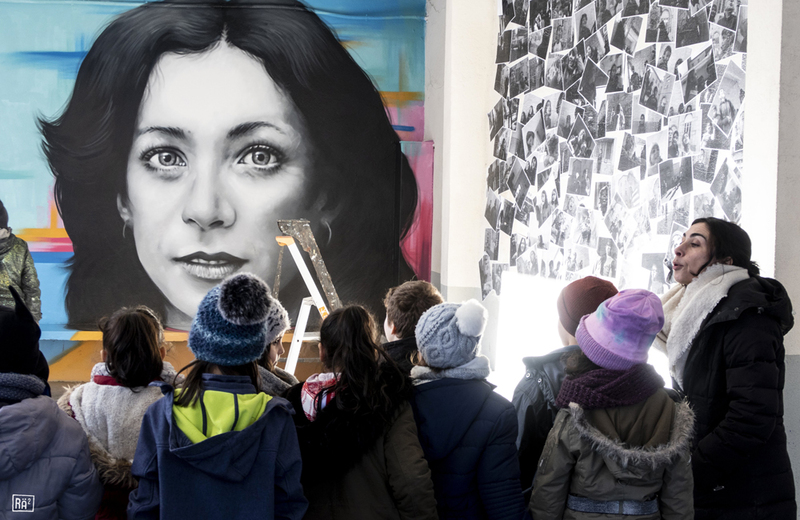 The children from all levels study the artists’ techniques, styles and themes. 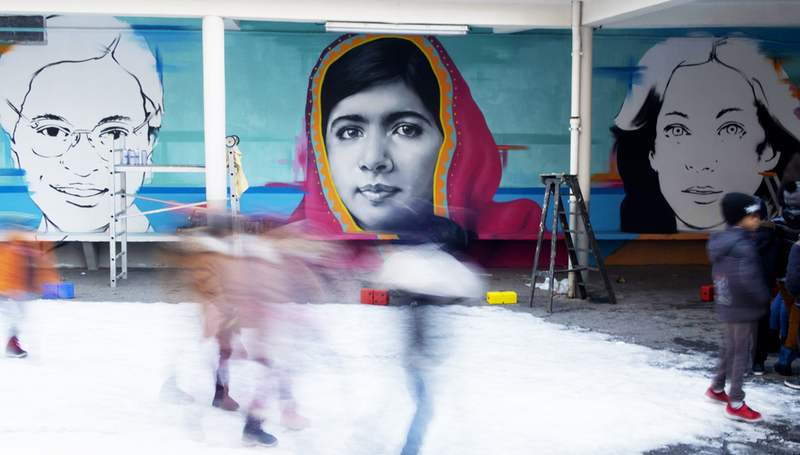 This year, the school is focusing on human rights and women who changed history. 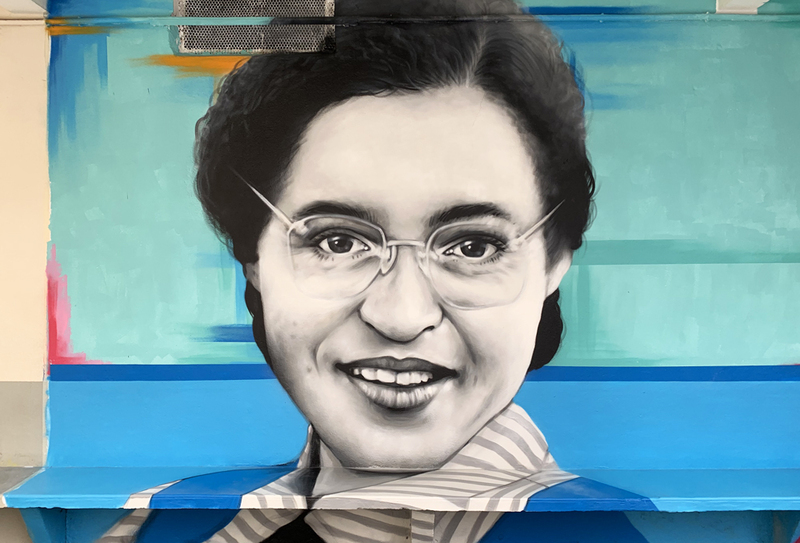 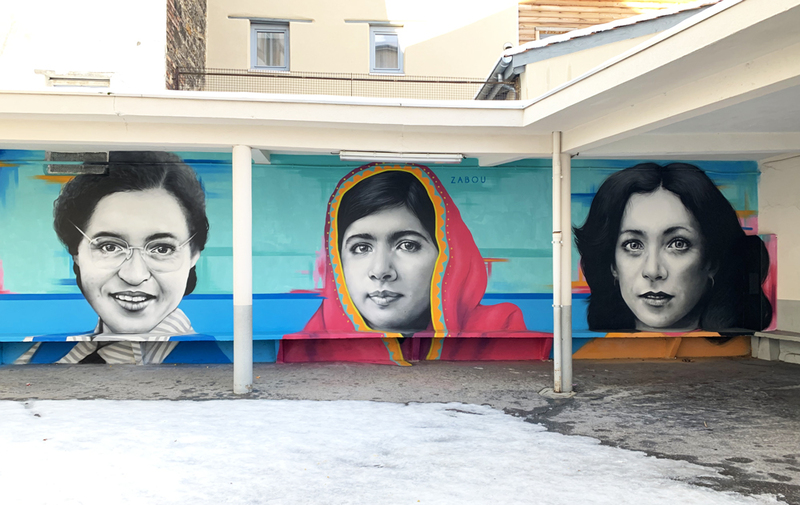 While the snow was falling, I created a large mural in the yard featuring portraits of defiant women: Malala Yousafzai, Rosa Parks and Kathrine Switzer.